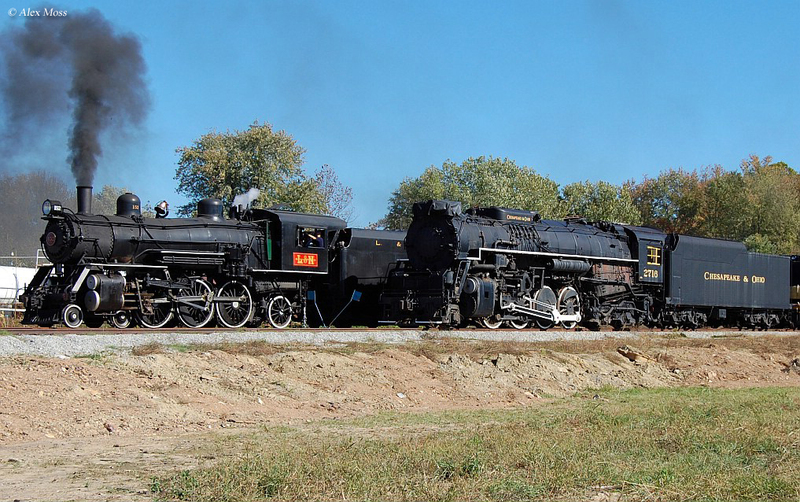 The Kentucky Railway Museum (KRM), based in New Haven has a history that dates as far back as the late 1940s with its true beginnings in 1954. 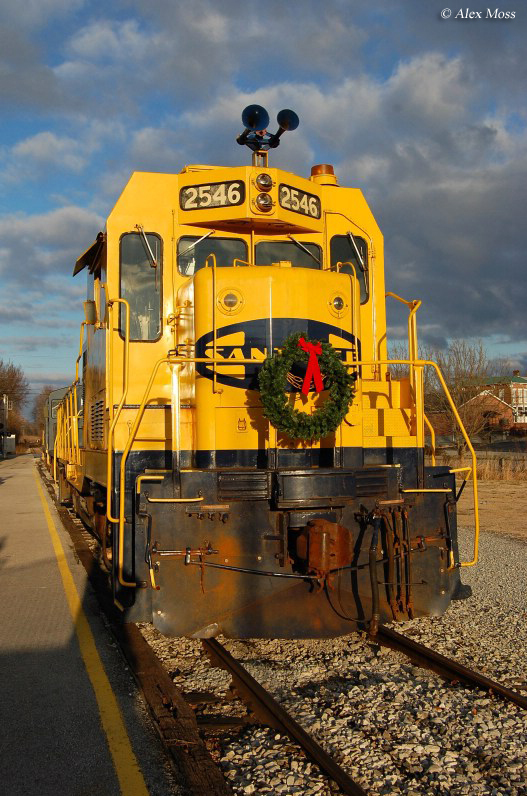 The organization's creation was in no small part thanks to the Louisville & Nashville Railroad, which provided the first locomotive and other materials. 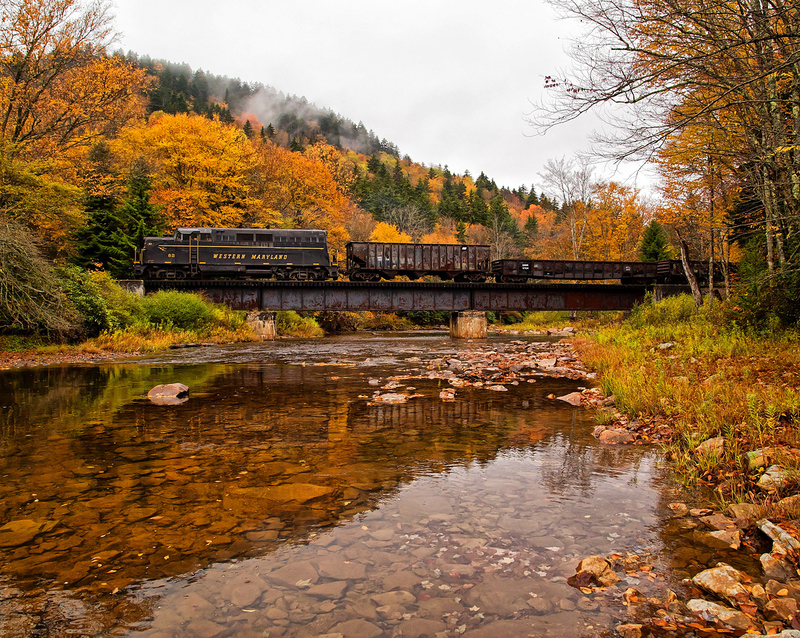 Since that time it has grown steadily and today features a large collection of rolling stock and even features excursion trains. One of KRM's more unique and fascinating aspects is that while it also caters to visitors they actually earn a little extra cash on the side by storing freight cars for CSX on unused stretches of trackage the museum owns. While seemingly insignificant this actually amounts to quite a bit of income each year for the museum. 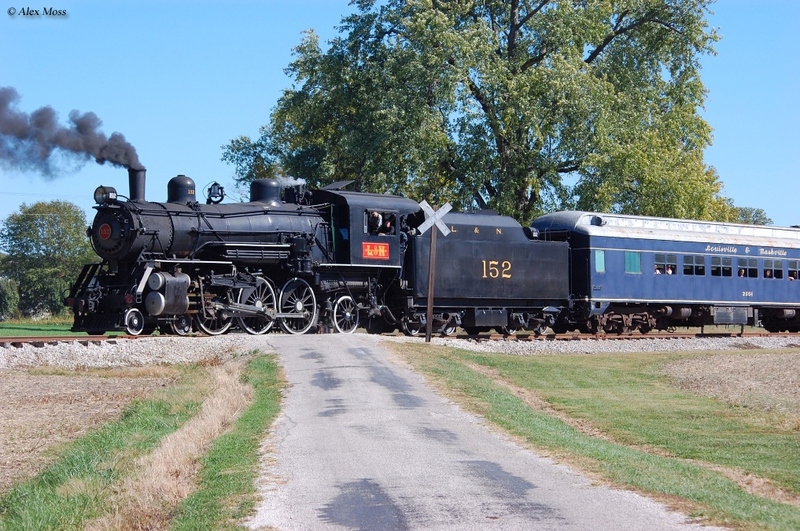 The Kentucky Railway Museum dates back to as early as 1948 when a local group of railfans started a chapter of the National Railway Historical Society. The new society acquired its first piece of rolling stock when the Louisville & Nashville president William H. Kendall donated 4-6-2 Pacific, #152. A 1905 product of the Rogers Locomotive & Machine Works the museum still owns the locomotive today. 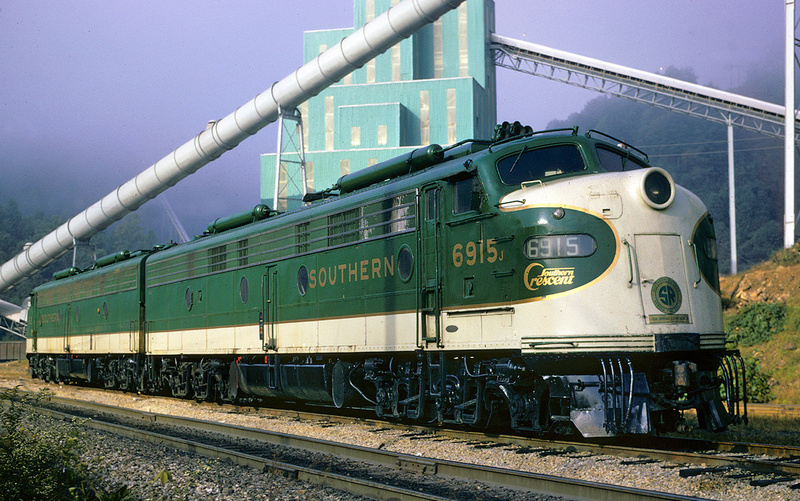 In 1954 the society renamed itself the Kentucky Railway Museum and leased a six-acre tract of land near Louisville. With its new home the museum quickly set to opening its exhibit to the public which it was able to accomplish by late May, 1958. As the museum's increased the size of its collection so did its patronage which had grown to over 100,000 visitors by the early 1960s and over 200,000 by the late 1960s. Needing more space with flooding an issue at the original location the Kentucky Railway Museum moved its exhibit to a larger, 40-acre site near Ormsby Village in 1977 although it would expire in 1993. Unfortunately, Jefferson County, which owned the property, would not to continue renewing the museum's lease on the property by the 1990s. Attempting to find a new home, yet again, before its time had run out the museum was in luck when two brothers in New Haven donated six acres of land and a building. With their new permanent home the museum reopened for business in July of 1990. What's more the museum was able to acquire a former L&N branch line CSX was intending to abandon between Boston and Mount Vernon. Purchasing 17 miles of the line came with help from the the Bingham Foundation and a state grant. 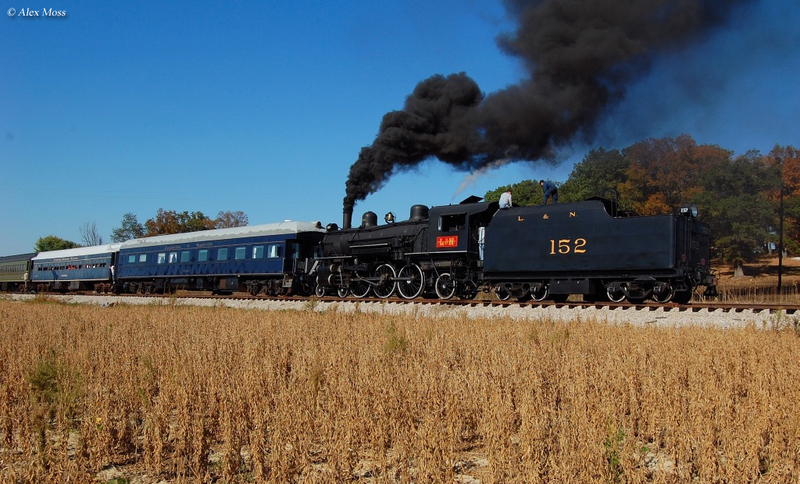 With a new rail line to showcase for tourists the museum set to restore its #152. Restoration of the locomotive came with grant money from the Brown Foundation and the National Park Service and after thirteen years of hard work the locomotive was under steam in the late summer of 1985. To carry passengers the museum then acquired a small fleet of coaches. Today, the Kentucky Railway Museum sees over 40,000 annual tourists and built a replica L&N brick depot that had once stood in New Haven. Along with its rebuilt depot the museum also now has a 5,000 square foot building to house historic artifacts. 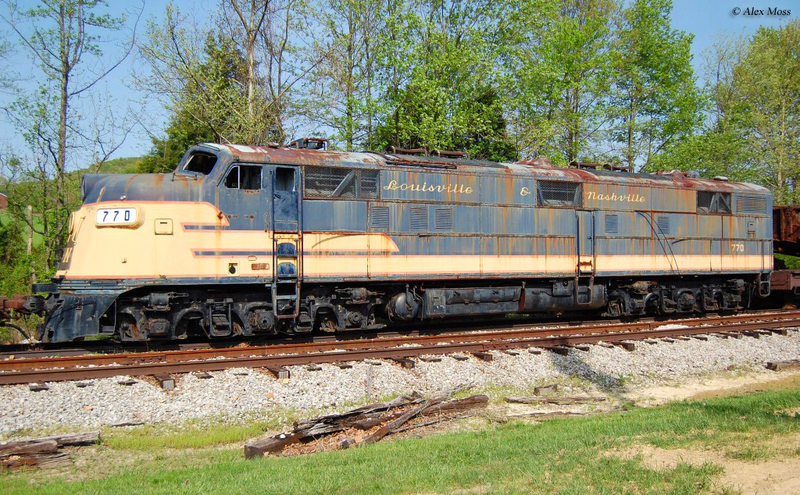 A visit to the Kentucky Railway Museum is well worth the time, if for nothing else than to see their collection of rare locomotives, both steam and diesel (their diesel collection includes a BL2, a Fairbanks-Morse H-12-44, and Baldwin switchers, just to name a few). Aside from its motive power KRM also has a small collection of preserved rolling stock which includes the following: Southern Railway coach-lounge #854 built in 1950 by Pullman-Standard, Chesapeake & Ohio coach #1616 built by Pullman in 1950, Louisville & Nashville coach #2554 built for the Clinchfield in 1925, Louisville & Nashville coach #2572 built for the Clinchfield in 1927, Missouri-Kansas-Texas coach #844 built in 1930, and British Columbia Railway diner Alta Lake manufactured in 1949. Today, #152 is not operational as it is undergoing yet another restoration and overhaul. 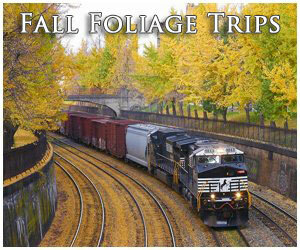 All of their rides are pulled by the only locomotive currently operational; former Santa Fe CF7 #2546. It was originally built as F7A #229-L in 1950. 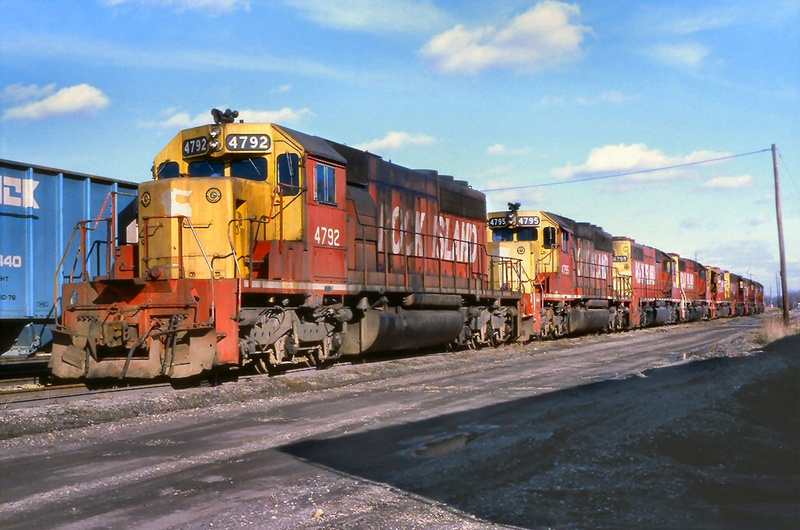 It was overhauled during one of the AT&SF's successful rebuild programs in the late 1960s, which saw several aging "covered wagons" given new life with various upgrades including a new cab and carbody for a more traditional road-switcher appearance. 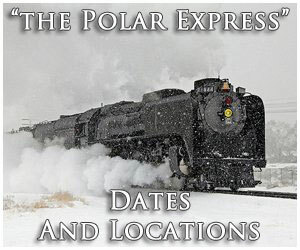 The KRM's excursions run three days each week and they host several specials for the holidays such as Easter Bunny trains,murder mysteries, train robberies, Halloween trips, visits from Thomas The Tank Engine, and Christmas excursions. 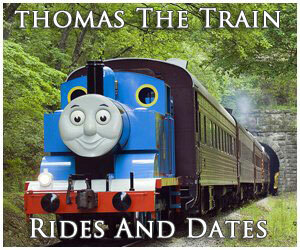 In addition they offer group events, caboose rides, dinner trains, field trips for the kids, and other activities. 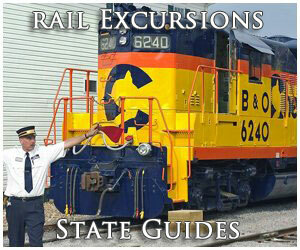 For more information about the Kentucky Railway Museum please visit their website by clicking here.